It’s that time again. Today Running Wolf’s Rant’s readers are in store for another post about an interesting South African Twitter user. Today’s guest of honor in the Interesting Tweople section is @BecauseI. She’s probably one of the funniest Tweople out there (in my opinion). Her tweets have always found a way to either make me smile, laugh or in even blush in some cases. Besides being a hard-working mother of 5 living in Durban, she’s also an excellent blogger. 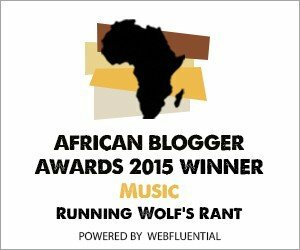 Her blog, Because I Can, is currently listed in the Top 20 of both MyScoop and Afrigator. She’s also spearheading the My R260 Car campaign. With this campaign she is offering 3 years of advertising on the My R260 Car website and she is using the funds generated from this to save up for her new car. She still needs more than 350 advertisers to achieve this. If you have a website, please support this cause. I recently had the honor of interviewing this nice lady. This is what she had to say. Are you a Twitter Addict? Not really, I find twitter to be an amazing source of information. And when it comes to information I am a hunter gatherer. Although when I am bored I enjoy inserting my own bit of nonsense into the already overloaded twittersphere. I normally only tweet from my desktop as the phone app is truly clumsy and I am currently not happy with my phone and can be found ignoring it for days on end (a long story which involves the touch screen, processor memory and decommissioned tower).. So weekends and afterhours you won’t see or hear from me unless I am having another bout of insomnia and then you will hear me complain about it, which in itself is stupid and I would just tune me out. Where do find the time to balance everything you do? Do you have a special formula? My mind is always busy.. never a quiet moment and if I don’t keep it busy I tend to overthink everything. So keeping busy is no real hardship for me, it is actually a saving grace in the really dark/crazy times. There is no special formula or magic trick to keeping balance between work and family, and if there is, the bastards haven’t given it to me yet. My focus is simple though – Family is always first, and when I say family, I am talking about the immediate family.. not a second cousin from Brakpan. Because as much as I love *Johan and I understand his hardships of living in a town named after a dog bowl, he will fall under the Christmas card list and not the Christmas pressie list. My work affords me flexibility with regards to time and if do not get my work done in the day I can complete it in the evening (after making dinner and tucking the kidlets in bed). It also affords me the opportunity to fetch the kids from school and attend school events… something I do not think I would be able to do if I had a regular 9-5 job. What are you currently working on? I have one really awesome written project I am currently working on which I cannot divulge too much of right now but can promise that it is awesome! Work wise, I am completing the end of month paperwork and getting ready to collate the years work together in preparation for the planning phase we will enter before we open again for the new year..
Running Wolf’s Rant would like to take this opportunity to thank @BecauseI for taking her precious time to respond to these questions. We wish her good luck with all of her future undertakings. Many interviews have been posted on this blog so please feel free to check them out. The previous person to be featured in the Interesting Tweople section in the Technology category was @stevoza (from Pretoria). Watch this space for regular updates in this category as well as the Movies, Music, Humor, Facts and Opinion categories. Also remember that the Babes and Photography categories are updated daily as well. Naas!! Ah schmaak this chick stukkend hey! !